Hey there fellow travelers! Welcome to The Tolkien Road, a long walk through the works and philosophy of J.R.R. Tolkien. On this episode, we take a close look at the background of Gandalf and his wizard brethren, the Istari. By the way, if you haven’t already, please leave The Tolkien Road a rating and feedback on iTunes. We’d love to know what you think of the podcast. Enjoy the show! Thus Gandalf faced and suffered death; and came back or was sent back, as he says, with enhanced power. But though one may be in this reminded of the Gospels, it is not really the same thing at all. The Incarnation of God is an infinitely greater thing than anything I would dare to write. Here I am only concerned with Death as part of nature, physical and spiritual, of Man, and with Hope without guarantees. 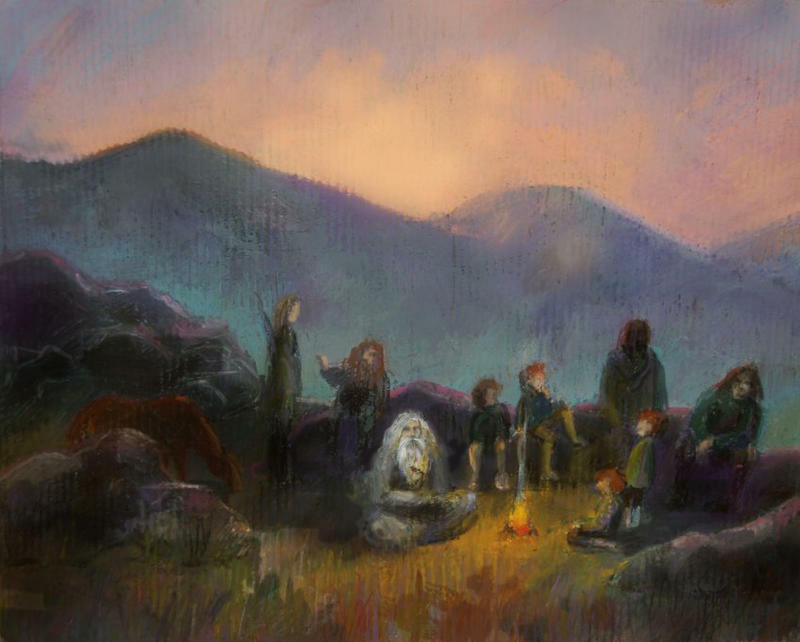 Especially in his letters, Tolkien could be frustratingly indistinct concerning the line between his religious beliefs and his secondary world. As I thought about it more though, I realized that this is actually a powerful illustration of how Tolkien worked his religious belief into the very fabric of Middle-earth. After all, Tolkien is elsewhere explicit that he intends (or grew to see) his subcreated Cosmogony as a sort of mythological pre-history of OUR reality (consider, for example, the significance of March 25th). And thus it’s key that we understand “Death as part of nature” and “Hope without guarantees” in the light of Tolkien’s Christianity. For Tolkien, Christian Hope is a sure thing, a guarantee. Christ’s resurrection (as Tolkien explains at the end of On Fairy-stories) is the central eucatastrophe of history, the definitive triumph over death and evil. Thus, since in Tolkien’s mythology Gandalf lived before the time of Christ, he had only a dim hope in the face of death. He may have hoped, in sacrificing himself, that good would ultimately triumph over evil, but he had no guarantee that it would. To put it in the psalmist’s terms, “Yea, though I walk thru the valley of the shadow of death, I know not if my cause will triumph nor if Thou art with me.” Thus, Gandalf’s hope and death represent the hope and death of the virtuous, pre-Christian pagan. So, if this is the case, why did Tolkien first draw such a distinct line between Gandalf’s incarnation and Christ’s Incarnation? Because Tolkien was not looking to create an allegory (Gandalf = Christ), but a secondary reality that was nevertheless continuous and organic with our own. Gandalf’s incarnation and sacrifice might foreshadow and allude to that of Christ, but it’s not a symbolic representation. Confusing, I know! Yet fascinating all the same. In my last article in this series, I stated why I’d be more interested in seeing The Silmarillion done as a high-quality, multi-season TV production than in the form of a series of films (even a trilogy of trilogies). In this one, I’ll lay out (at a high level) how I’d see the TV show playing out. In short, I see The Silmarillion being done in 6 seasons of 10 episodes each. Here’s a look at what each season would encompass. Over the next few posts in this series, I’ll elaborate with more specifics on each season. Season 1 – The Awakening of the Elves: Season 1 would be primarily concerned with the journey of the Elves to the Blessed Realm under peril from Melkor. Basically, Chapter 3 would be in focus here. Everything before (Ainulindalë, Chapters 1 & 2) is background and would be handled as flashbacks/intro/stage setting. It would end on something of a high note, with the Elves arriving safely in Valinor and Melkor defeated and imprisoned. However, there would be a note of dread about the awakening of Ungoliant, and the secret machinations of Melkor to corrupt and destroy the Elves no matter the cost. 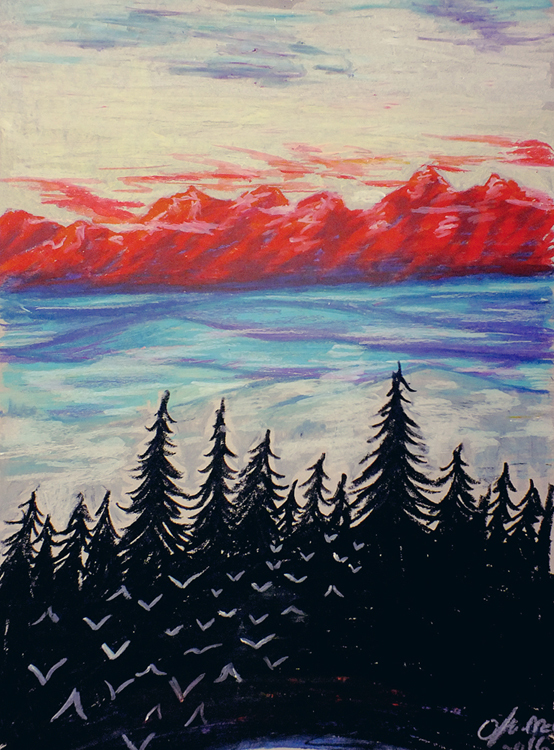 Season 2 – The Darkening of Valinor: Chapters 5 thru 8. Season 2 would take place almost entirely in the Blessed Realm, and would focus on Melkor’s manipulations, ending with the destruction of the Two Trees, the theft of the Silmarils, the murder of Finwë, Valinor in darkness, and Melkor and Ungoliant on the run. Season 3 – The Pursuit of Melkor: Chapters 9 thru 13. Season 3 focuses on the Oath of Fëanor, the kinslaying, the break with the Valar, and the bickering of Melkor and Ungoliant. It ends with the death of Fëanor. Season 4 – The Wars of Beleriand: Chapter 16 thru 18. Season 4 picks up some time after the death of Fëanor, after the Noldor have established themselves in Beleriand, and with the arrival of Men. This season would focus on the battles against Angband leading up to the Battle of Sudden Flame and ending with the death of Fingolfin. Season 5 – Beren, Lúthien, Túrin: Chapters 19 thru 21. Season 5 focuses on Beren and Lúthien for the first half, and then, from that high point, descends into even greater tragedy with the Battle of Unnumbered Tears and the story of Túrin and the fall of Nargothrond. 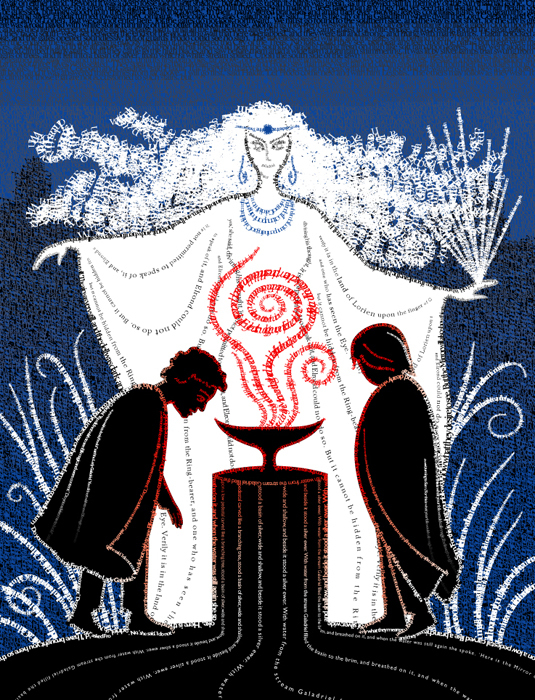 Season 6 – The Journey of Eärendil and the End of the First Age: Chapters 22 thru 24. Season 6 focuses on the fall of Gondolin and the ever-increasing desperation of the peoples of Beleriand. It ends with Eärendil’s journey and the War of Wrath. Let me just close with this: I truly hope this happens one day. 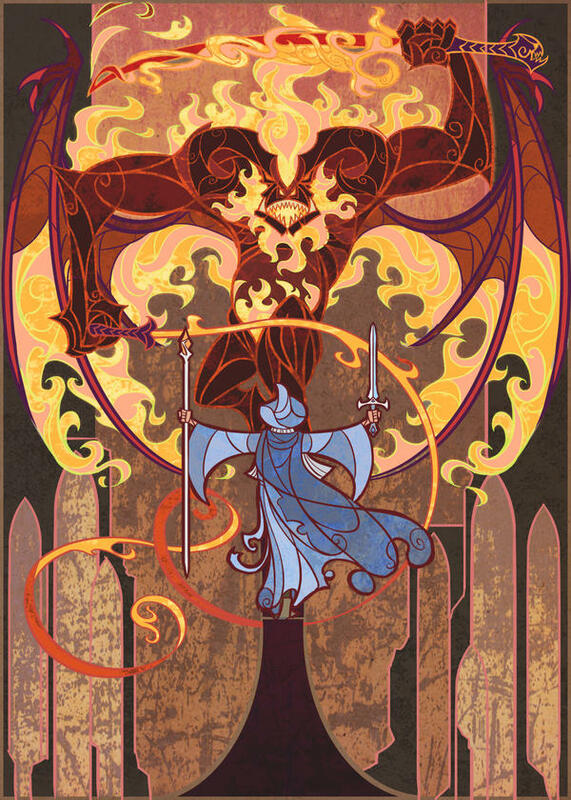 I think The Silmarillion contains material that could make for utterly compelling TV. If put in the right hands (a show runner that respects the source material and Tolkien’s vision), it could be one of the best shows ever. Then Ilúvatar said to them: ‘Of the theme that I have declared to you, I will now that ye make in harmony together a Great Music. 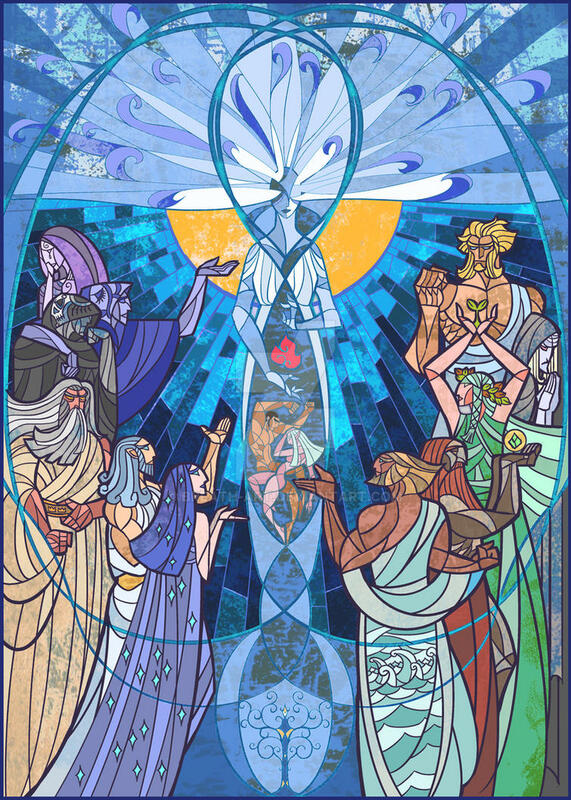 “Ainulindalë” begins with the creation of the Ainur by Ilúvatar. These Ainur, the “Holy Ones”, are the offspring of his thought. To each of the Ainur he propounds a theme. Each of the Ainur sings before Ilúvatar, or, in some a cases, a few together. Ilúvatar is the originator of both theme and Ainur. The themes themselves are not persons, but the Ainur are. Why is it necessary for there to be persons to propound these themes? Why is it not possible for Ilúvatar simply to propound them himself? We are not told how many are created, but we are told that after the Ainur sing individually for some time (with the rest of the group listening), Ilúvatar propounds to them a “mighty” theme that astonishes the Ainur. Based on this theme, Ilúvatar wills that they make a great music together. At this point we begin to see why he created the Ainur in addition to the themes themselves: he wills that they might adorn the themes with their own “thoughts and devices.” Thus, we receive our first glimpse of the idea of subcreation, that Tolkienian doctrine wherein the greatness and beauty of reality is increased by the embellishment of spirits endowed with free will. There are echoes of the “effoliation and multiple enrichment of creation” that Tolkien speaks of in On Fairy-stories. Through the voices of each individual Ainu, some new thing will be achieved. While this new thing is grounded in Ilúvatar’s original theme, it is nevertheless a result of the individual freedom bestowed on the Ainu by its maker. Hey there fellow travelers! Welcome to The Tolkien Road, a long walk through the works and philosophy of J.R.R. Tolkien. On this episode, we continue through The Lord of the Rings with Book 2, Chapter 7, “The Mirror of Galadriel.” By the way, if you haven’t already, please leave The Tolkien Road a rating and feedback on iTunes. We’d love to know what you think of the podcast. Enjoy the show! A few months back I had the honor of publishing “Fantasy Incarnate” by Simon Cook. Today, I want to share another short essay on Tolkien’s view of death entitled “Death and the Tower” that Simon recently published on his own blog, YeMachine. It’s fantastic. Do yourself a favor and go read it. Not only does Gabriel Blanchard have a pretty solid command of Tolkien’s linguistics, but he’s a great writer as well. I particularly enjoyed this reflection on Utopia vs. Hope, which I found to be quite Tolkien-esque. Sounds like the long defeat to me!